LONDON - Jaguar Land Rover has appointed Work Club to handle a global digital brief to promote one of the company's marques. The independent agency picked up the business without a pitch after approaching the client directly with a concept for a campaign. Work Club's activity for Land Rover is expected to focus on consumer engagement or crowdsourcing on a global scale. 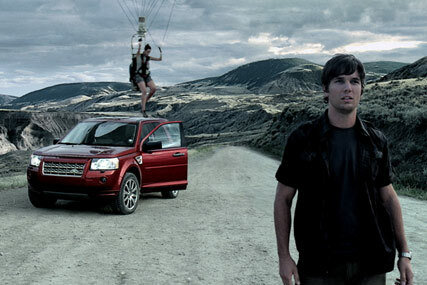 The agency's appointment will not affect Land Rover's existing agency relationships. Its ad business is handled globally by Y&R, while Wunderman produces its digital work. Simon Warr, the board director for communications at Jaguar Land Rover, said: "This is our next step to embrace new ways for people to connect with our brand. Work Club will help us drive creative, insightful and innovative use of social media and on-line behaviours." Andy Sandoz, Work Club's creative partner, said: "Land Rover was founded upon principles of open-source and utility. Our challenge is to bring these qualities to the fore, and in doing so bring the product and its marketing tightly together." Last month, the car manufacturer appointed The Brooklyn Brothers to handle a PR and marketing brief to launch the highly anticipated Range Rover LRX. The agency picked up the brief after a pitch against Y&R, the global incumbent, and Borkowski, the public relations agency.